In what is set to be a decisive week in the season there are games with implications at both the top and bottom ends of the table. The I-League is now into the penultimate stages into the season and it seems to be Minerva Punjab's title to lose at this point with the leaders a point ahead of Neroca FC, who've played 2 games more than them. The revolution in Minerva Punjab has been staggering this season, as they boosted their title charge with a thrilling 3-2 win against Shillong Lajong at home which gave them some breathing space at the top. 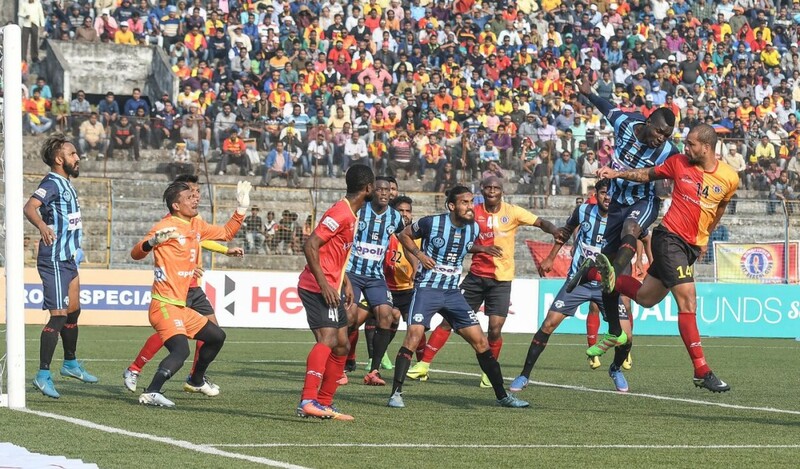 The Warriors will look to consolidate their place at the top, even more, when they face East Bengal in a virtual title-decider and a win against them could more or less guarantee the title win for Khogen Singh's men. Meanwhile, at the bottom of the table, Chennai City FC will look to mount a large charge to avoid relegation while the mid-table battle looks a heated one as well with Mohun Bagan looking to add pressure on their rivals. 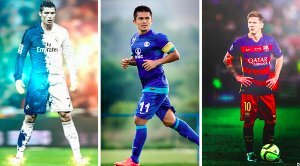 So let's take a look at the preview for the I-League games this week. Date & Venue: 13th February/ Tau Devi Lal Stadium, Panchkula. Time & Broadcast: 02:00 PM/ Star Sports 2, Star Sports 2 HD & Hotstar. Minerva Punjab showed the stuff of champions when they won the thrilling bout against Shillong Lajong 3-2, even after Lajong had made it 2-2 in the second half. 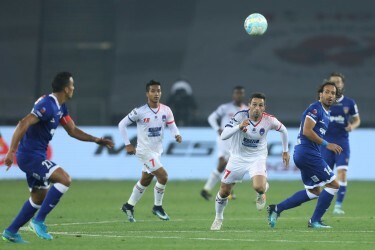 The win gave a real boost of confidence to the Warriors, who will look to wrap up the title race against East Bengal whom they failed to defeat a few weeks ago. While Punjab let a 2 goal lead slip in that one, they'll look to improve their defensive state and keep Bengal from making any threat on goal. With their attacking form looking really impressive right now, Punjab have the chance to deal the death blow to East Bengal's title chances and will hope the chemistry of Chencho, William Opoku can win them another match. Khogen Singh's men got off to a great start in their brand new stadium and will look to start another winning run at the expense of East Bengal. 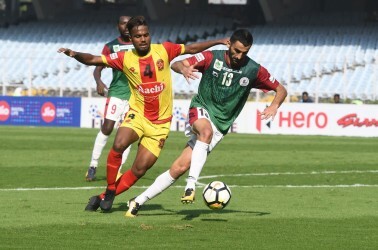 East Bengal were bailed out of trouble by Dudu's debut goal for the side against Indian Arrows last week which kept the light of their title race from getting diminished. While East Bengal find themselves 6 points behind Minerva Punjab, they know that anything but a win in this difficult fixture will put an end to their hopes for the I-League title this season. They looked much more comfortable against Arrows and got a hard-earned win at the end and will look to exploit Minerva's vulnerable defensive form right now. Khalid Jamil has the knack of winning the big games and will the best from his players in his biggest game in East Bengal colors, as the Red and Gold Brigaders will have to put everything on the line to churn out a victory and keep themselves in the title race. Date & Venue: 14th February/ Khuman La,pak Stadium, Imphal. It's a Valentine's Day fixture in the I-League and Neroca FC will look to give their single fans something to love when they face off against the dangerous Churchill Brothers. Neroca were disappointed when they were held 0-0 against Aizawl at the weekend, which put a major bump on their title quest. 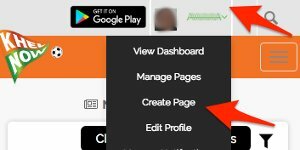 While that looks impossible right now, Neroca will look to treat their fans to some better football and bounce back from the draw with a win. 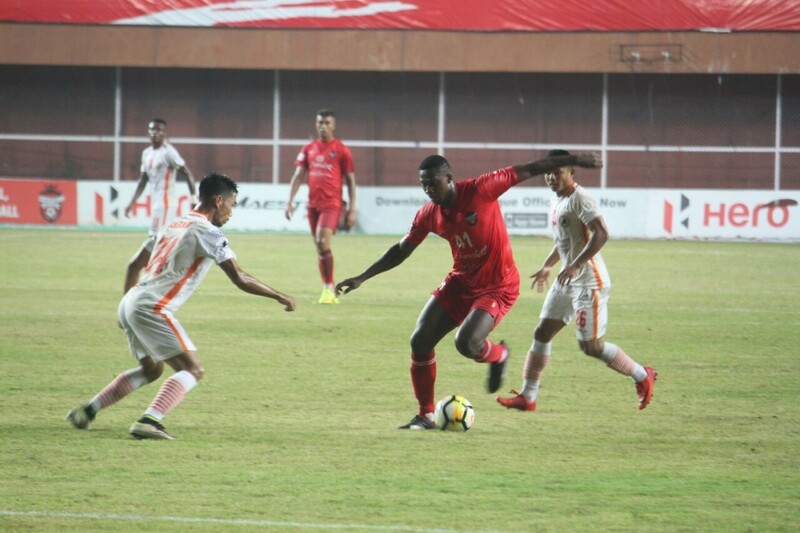 Neroca will look to exploit Churchill's weak defense which crumbled under the late pressure from Indian Arrows at the weekend and look to score goals at their home again. With new striker Nick Ward expected to start, they'll look to dazzle the fans with some brilliant attacking football and diminish the sour taste left from the draw at the weekend. 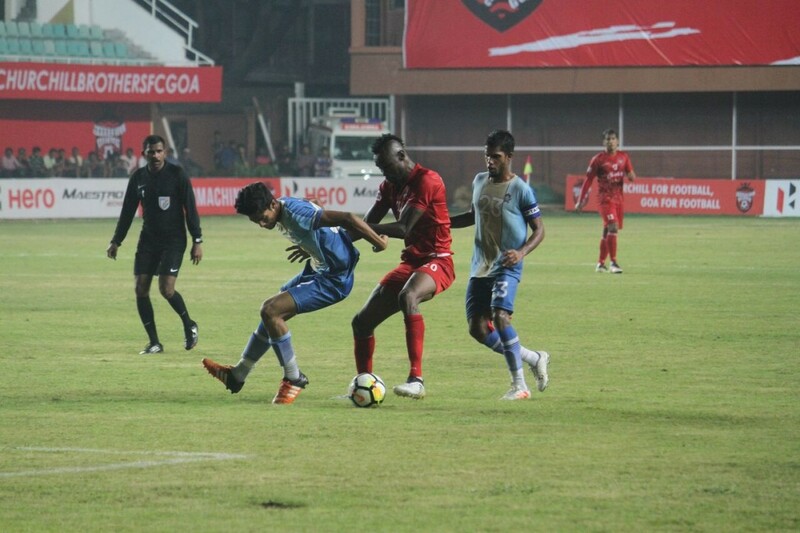 Churchill Brothers' impressive form came to a halt when they shockingly conceded two goals in stoppage time to lose to Indian Arrows at the weekend and will look to bounce back from that with a difficult trip to the North-East. It's not going to be easy for them to thwart Neroca FC, but knowing Churchill's attacking power right now, they can easily get something out of the game if they play properly. Churchill will hope for their star signing Mechac Koffi to deliver and bail them out once against the stubborn Neroca side who are difficult to crack down at home. A win will take Churchill even further from the relegation spot, as they'll look to ruin the mood for the Neroca supporters and try to get back to winning ways. Date & Venue: 16th February, Tilak Maidan, Goa. Indian Arrows showed their never-say-die attitude when they shocked Churchill Brothers by scoring two goals in stoppage time and winning 2-1 at the Tilak Maidan at the weekend. The result has definitely boosted their confidence and they'll look to continue their good run against Aizawl FC, who haven't really been the best side away from home either. 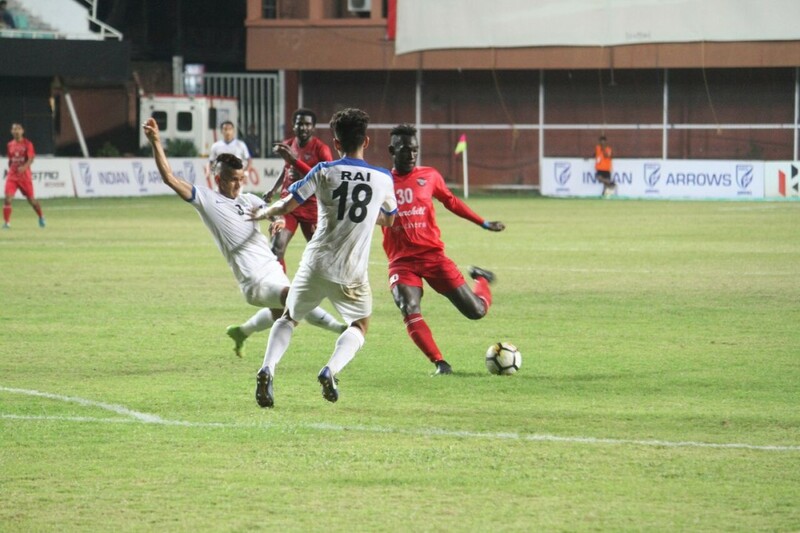 While Aizawl have proved to be a tough nut to crack, the unpredictability of Arrows' vibrant young players and their willingness to play fluid, attacking football will make them a threat for the defending champions. While the U-17 lads are already making history by winning so many matches, they'll look to one-up their record by defeating the mighty Aizawl FC and keep on entertaining the fans with some stunning display of attacking football. 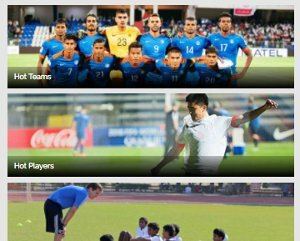 Aizawl FC have had a bittersweet season so far in the I-League, with their defense of their I-League title not going so well at all. They've been a disappointing team on the road but will have an opportunity to improve that against the inexperienced Indian Arrows side during mid-week. They'll look to exploit Arrows' defensive vulnerabilities and get an emphatic win which could boost their chances at a top 4 finish. While things will never be easy against an attacking unit like the Arrows, Aizawl have shown themselves to be a solid side defensively this season and were brilliant to contain Neroca. A win could do all the good for their confidence right now and even though they didn't have an ideal season, an away win could give them a boost of confidence needed to finish the season on a high. Date & Venue: 17th February, EMS Corporation Stadium, Calicut. 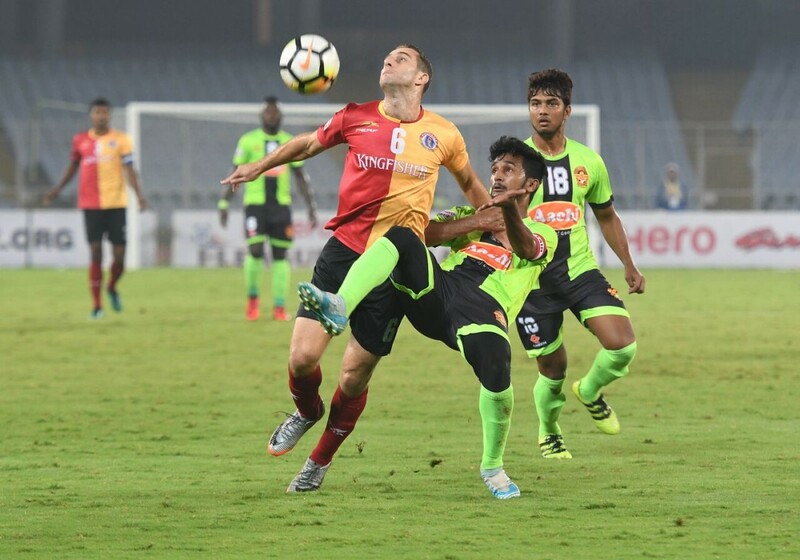 Gokulam Kerala will probably struggle to get anything out of their game against Mohun Bagan on Monday, but they'll look to damage the ambitions of their rivals East Bengal during the weekend. Kerala have proved to be a decent side at home recently and even defeated Shillong Lajong 3-2 a few weeks ago, and will look to thwart the dangerous East Bengal and try and get out of the drop zone. East Bengal hasn't been the most solid side in away matches recently, so Gokulam will definitely play on the attack and look to exploit their leaky defense. If Kerala can play to their best and contain the dangerous attack of Khalid Jamil's team, then they have a chance at getting a shocking win and delight their fans. Even a point in this important game can do Gokulam a lot of good, but knowing their hunger to impress their faithful fans right now, they will go for all 3 points. While East Bengal might not get all three points away to Minerva Punjab, they will look to keep their charge towards a top 2 finish intact when they travel to Gokulam Kerala at the weekend. They might not be the strongest away from home recently, but Khalid Jamil's men will not take anything but a win against the weak Gokulam who are at the bottom of the table right now. Bengal will hope for their impressive attacking talent to shine against Gokulam and give them an emphatic win which could take them over rivals Mohun Bagan, which seems to be their remaining goal of the season right now. They will look to put on an entertaining display for the fans by putting on a clinic against the defensively vulnerable Kerala and will try to out-do Mohun Bagan, who face Kerala earlier in the game week. Date & Venue: 17th February, Jawaharlal Nehru Stadium, Coimbatore. Chennai City FC did manage to scrape through a draw against Mohun Bagan last week but will need to do better if they're to stay out of the relegation zone and avoid the drop this season. They face fellow relegation contenders Churchill Brothers in a vital clash at the weekend, which could determine the fate of both teams. Chennai will have to up their game and play to their best to oust the dangerous Churchill Brothers, who will not back down without a fight. With their fans cheering them on, Chennai City will need to play the best football of their season to get a win against Churchill Brothers, which could be a defining moment of their season so far and most importantly help them avoid relegation. Churchill Brothers might still not be looking to their strongest in away games, but they will need to treat their game against Chennai City as one at home if they're to win it. While Churchill are still quite a few points above Chennai, they cannot get complacent and will need to win the game to guarantee their own survival in the I-League. Thankfully for the Goan club, they look to be in really impressive form going forward and have the arsenal to thwart the defense of Chennai City. They will need to play with maximum concentration so that a mishap like the Indian Arrows game wouldn't happen, and a win for Churchill will be vital to boosting their confidence once they realize that chances of relegation are dim. Date & Venue: 18th February/ Khuman Lapak Stadium, Imphal. 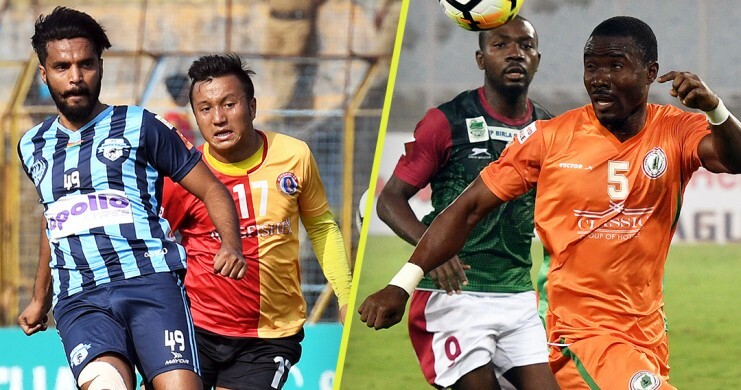 It's going to be a top of the table clash to end the I-League game-week as Neroca FC play their final home game of the season against Mohun Bagan. Neroca will definitely look to up the ante and entertain their faithful, who come in numbers each and every game to cheer them on. Gift Raikhan's men held the Mariners in the reverse fixture but will look to one-up that and get a win to end their final home game on a high. Neroca will not have it easy against the Mariners who have been very strong defensively ever since their derby win and will have to dig deep to break Bagan's will. But with their buoyant support behind them, Neroca will play the match as if it's a title decider and will give it all to get three points. Gift Raikhan will look to retain the top 2 place for his side and end their home run on a high in what has been an amazing season for the Orange Army. Mohun Bagan have proved to be a reformed side after their derby win against East Bengal last month, with their dire form seemingly having come to an end after plaguing their title challenge earlier this season. 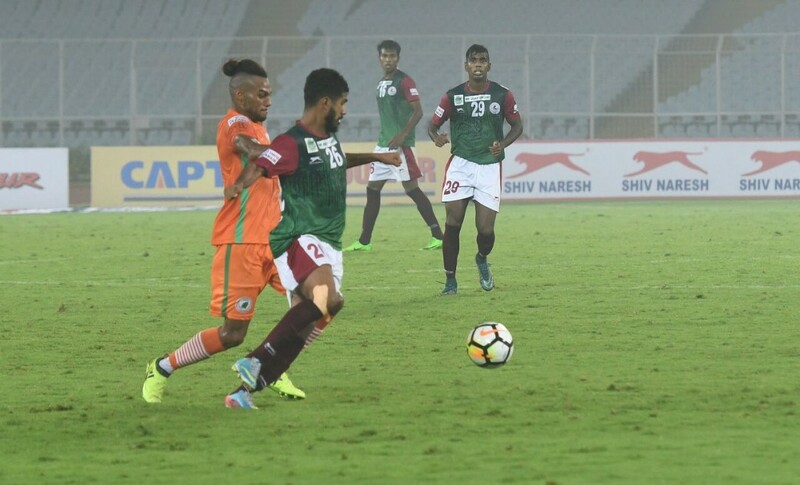 While the I-League seems impossible right now, Mohun Bagan have a lot to play for against Neroca FC who held the Mariners to a draw in the reverse fixture. The Mariners will continue playing dominating football and aim to get revenge of sorts against Neroca, while improving their position in the I-League. It's going to be a big game against a dangerous Neroca side, so if Mohun Bagan does get all three points, they could go above rivals East Bengal in the table. They will look to continue to delight their fans with some fluid, attractive football and neutralize Neroca from doing anything, with the Mariners knowing that a win could really break the hearts of the Orange Army.